An excellent pregnancy diet gives your baby the best start in life. Many cultures the world over feed pregnant women a special diet. They even feed women planning to conceive a special diet! Many midwives and doctors know good nutrition gives you and your baby a solid foundation. Prenatal nutrition prevents many pregnancy complications. Traditional societies with excellent nutrition produced strong, vigorous babies – and mothers had good pregnancies and births. It's smart to be proactive about your prenatal nutrition. It's the easiest and most vital step you can take to have a naturally healthy baby! I've paid special attention to my diet throughout all six of my pregnancies and have had wonderful pregnancies, easy births, and healthy babies. Have a pre-existing medical condition? Plan your diet with the help of a nutritionist who specializes in pregnancy nutrition. A nutritionist may be more knowledgeable about pregnancy nutrition than an obstetrician (whose training doesn't include much on nutrition). 5 I Need to Eat That Much!? A good pregnancy diet helps you feel better and builds up your body – giving you an excellent chance at a natural birth. Pregnancy is not a time to loose weight or to go on restrictive diets that may compromise the health of you or your child! Modern advice says women should restrict their intake (and fats). This is dangerous for you and for your baby. Use this strategy instead – remove processed, refined foods full of sugars and empty calories. Replace them with nourishing whole foods. Pregnancy creates nutritional stress for every woman – you are building another human being – from scratch! Even if you eat well pre-pregnancy you'll want to make some changes to create a good pregnancy diet. A whole foods selection is the basis of a good pregnancy diet. 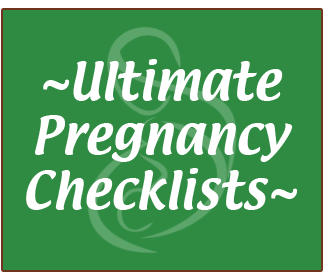 So many special factors come into consideration with pregnancy. Protein forms the building blocks of your baby and is a solid foundation to build your pregnancy diet on. Get plenty of protein! Meats and beans (legumes) are excellent sources of protein. Milk and eggs are packed with protein, vitamins, minerals, and healthy fats – enjoy them daily. Organ meats every week (especially liver and shellfish) are very beneficial to you and your baby and contain lots of good proteins, fats, iron, and other nutrients. Listen to the basics of pregnancy diet on the prenatal nutrition podcast episode! Also check out Pregnancy Diet Myths vs. Realities and Healthy Pregnancy Diet on a Budget for more practical information on eating the right things during your pregnancy. Yes – you and your baby need these. Humans need animal products – especially for reproduction and as growing children. A vegetarian diet should include plenty of dairy and eggs, and fish would be great. An omnivore's diet is best. It will give you and your child the very best health – and the health of your child lies squarely in your hands. Plenty of good meats will benefit you and your baby. Organ meats, fish, and shellfish are especially good for you. Eggs and fish eggs are also excellent. Meat that has been fed on pasture without any growth hormones or antibiotics is best for you. Wild-caught fish have been eating a normal fish diet and living a normal fish life. Fish, cows, chickens, bison, etc. all do better when they eat their natural diet – and in turn their meat is better for you. Milk, cheese, yogurt, kefir – these are all nourishing to you and your baby. Look for a source of clean raw milk. It should come from clean, happy cows living on grass. Raw milk is nourishing and wonderful – just like raw human breastmilk. Find a farmer you trust. You can buy tasty raw milk cheeses in the store. Making bone broths – stocks – from bones will give you and your baby lots of important minerals. Bone broths also give you gelatin which helps enhance digestion. And they add flavor! Chicken and beef/lamb stocks are very easy to make, and creating soups from them is also very easy. Fats are good for you – traditional fats. Avoid “industrial fats and oils” such as corn oil, soybean oil and shortening. Use lard and tallow from pigs eating a clean diet (pig diet varies by farm) or cows eating grass. Use olive oil, coconut oil, and palm oil. Use butter. Eat your veggies with butter. Cod liver oil has been shown beneficial (and safe) during pregnancy and lactation. Traditional fats are vital for your body and for your baby. It is fat that builds your baby's brain. Going low-fat deprives your child nourishment he or she vitally needs for brain development. Industrial “fats” wreak havoc on your system – they've been designed by an industry looking for money and efficiency. Use the fats nature designed so you can have a healthy pregnancy and grow a strong, vibrant child. Getting an ample selection of fresh vegetables and fruits will nourish you and help your baby to grow strong. Antioxidants, vitamins, and minerals in fresh produce are excellent. A wide selection of colors is a good choice in fruits. Leafy green vegetables and deep orange produce are especially important. These help regulate your digestive system and provide rich antioxidants from a natural, food based source. In addition, fresh produce can provide folate (folic acid) – a nutrient vitally important to your growing baby. Be sure leafy greens (like spinach and kale) are cooked as they can be hard to digest raw. Fermented vegetables, like fermented dairy products, are also very good for you. Sauerkraut, kimchi, beet kvass, and other traditional fermented treats will improve your digestion and fill your gut with good bacteria – this is important because your baby will get his or her gut flora directly from you! You'll also want to be sure that you're getting good whole grains into your diet. Whole grains help regulate your digestive system and may ease pregnancy related constipation. You can choose from breads, rice, oats, barley, and many other grains. Soak or sprout your grains to make them more easily digestible. NBBC reader Emily shared that sprouted grain products (tortillas, breads, pastas, etc) were very beneficial to her during pregnancy. Traditional preparation methods like sourdough bread, lime-soaked tortillas (and grits), and long soaks for beans/legumes make these foods digestible and nourishing for you. Be sure to eat your veggies with good fats – these help your body to absorb all the vital nutrients fruits and vegetables offer. A good iron level is important to pregnancy. Try to get good, iron rich foods instead of simply relying on an iron pill. Some women find iron pills are constipating, and they're not as well absorbed as foods would be. Food based iron sources are egg yolks, meats, molasses, and raisins. Enjoying a vitamin C rich food with your iron rich food is a great idea. The vitamin C boosts the absorption of iron in your blood. Have your eggs with a glass of OJ at breakfast! Another simple way to get iron is to cook using a cast iron pan. This will give you trace amounts of iron. If you're having trouble with your iron levels do consider a supplement – a natural, food-based prenatal or an herbal iron supplement will be absorbed better than most iron pills. You can also eat animal foods rich in iron. I Need to Eat That Much!? A bowl of ice cream occasionally is OK (especially if it's homemade from raw cream and egg yolks! ), but you'll want to focus on eating what you and your baby need. Think of it this way – after your baby is born you'll feed him or her the very best, and you wouldn't dream of not feeding your hungry baby! So feed yourself and your baby the very best now, and eat enough! Eat three meals a day and a morning and afternoon snack. Then eat a small snack just before bed. You'll find that you are able to eat everything you need to have a great pregnancy diet! Some women like to have a small protein-rich or fresh fruit snack (oranges are supposed to be especially helpful) when they get up at night to use the bathroom. It helps ward off morning sickness the next morning. If you're having trouble getting meats down you can eat rare-cooked grass-fed beef, which many people find easier to digest. If you have a trusted source of good fish you may also want to have sashimi. If you have trouble with eggs try poached or soft boiled with runny yolks – or mix raw egg yolks into your whole milk (2 egg yolks to two cups of milk masks the yolks – add a tablespoon of blackstrap molasses for extra iron and minerals, and a bit of a sweet taste!) Make sure eggs yolk you're eating raw or soft-boiled comes from pastured hens. An important note: you need to have a good caloric intake every day. If you eat plenty of protein, but skimp on overall calories, you body ends up using the protein to make up for the calorie deficit. As you can imagine, this doesn't allow you and your baby to fill your high protein needs. Your pregnancy diet should include plenty of protein, healthy fat, and calories. You are feeding yourself and your baby! The key to remember is to get nutrition packed calories, instead of empty calories. Are you overwhelmed with the thought of how much a good pregnancy diet will cost? Pregnancy nutrition does not need to be expensive. Milk and eggs are relatively inexpensive compared to meats, and give a great “nutritional bang for their buck.” Beans are also an excellent protein source, and very inexpensive. Organ meats are extremely good for you and your child – and are usually very inexpensive! You can choose fresh fruits and veggies that are inexpensive (buy seasonal produce and shop your local farmer's markets). Buy a head of romaine or green leaf lettuce instead of a bagged salad. You'll get a lot more for your money. An excellent pregnancy diet is the cornerstone to having a healthy baby. It is totally under your control and it is totally your responsibility. Read all you can about pregnancy nutrition. Pay attention to what you eat – and a treat every once in awhile is ok! Basic Prenatal Nutrition Guidelines: See exactly what and how much of it you need to be eating. Vegetarian Pregnancy Diet Guidelines: These guidelines will help you plan a vegetarian pregnancy diet. Vegan Pregnancy Diet Guidelines: Check these guidelines if you're a vegan. that every woman should know!